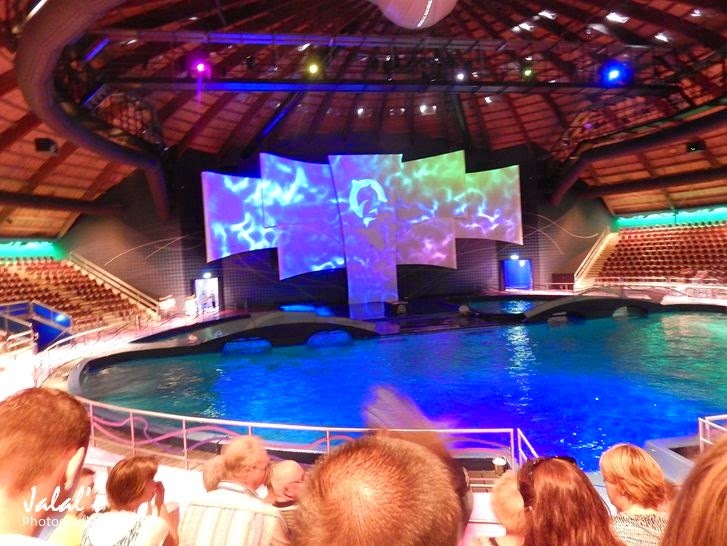 The visit to the famous Dutch Dofinarium in the city of Harderwijk was great fun. 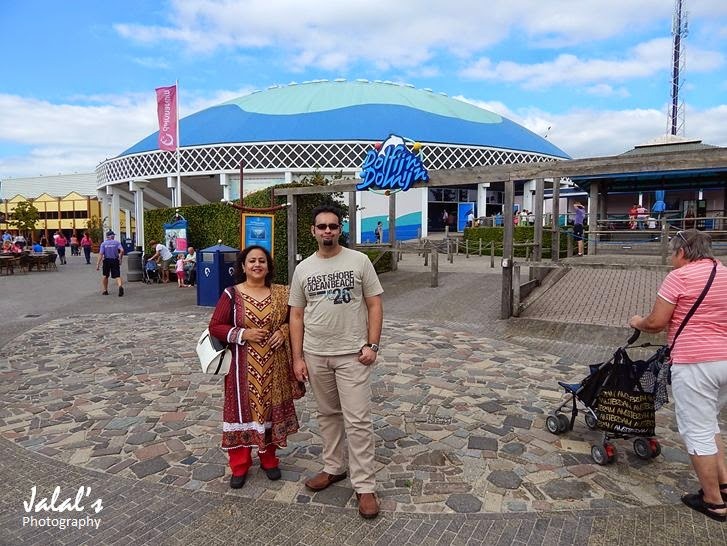 We had driven from Groningen where we were staying with my school days friend Tariq Hashmi and were really excited and looking forward to see the dolphins - something we had seen in the movies so far. 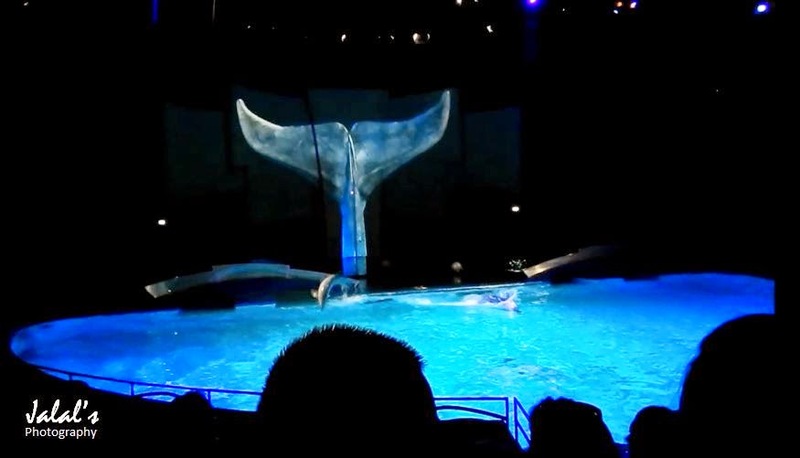 However, upon arrival we were informed that the dolphin show is already in progress and would be repeated at least 2-3 three hours later. 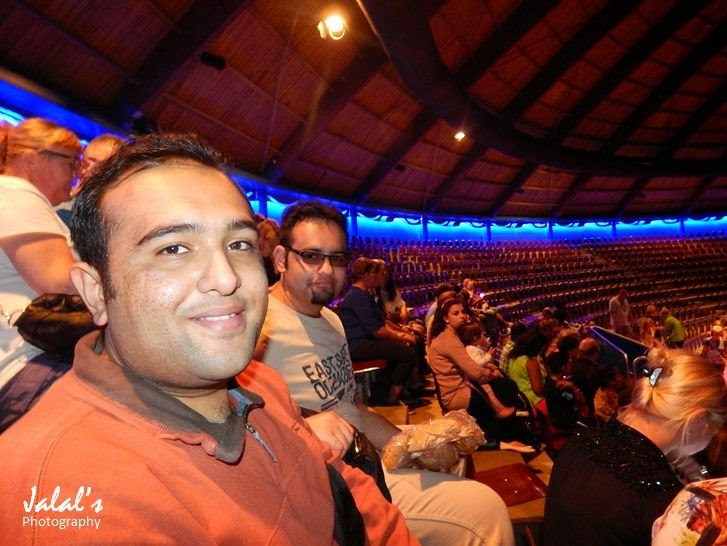 Instead we could see the walrus and seals show. We did not know that of this surprise as like dolphins, we had not seen mighty walrus or the seals before. 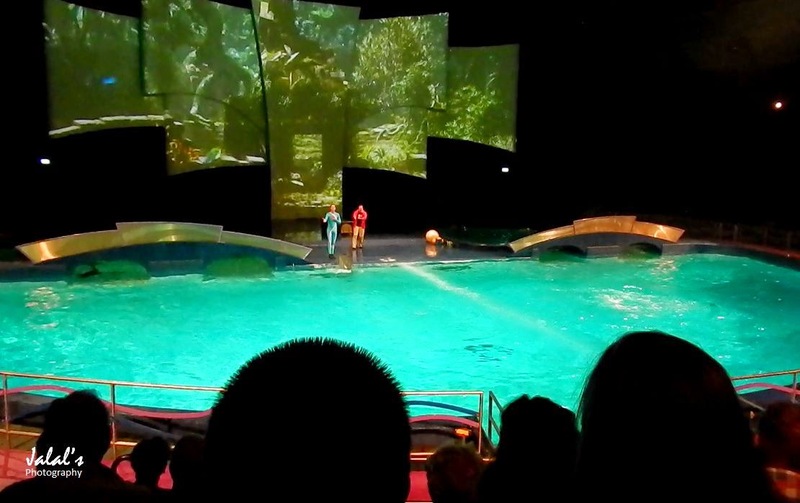 So we first went to see the Walrus Show - I have already written post on it, followed by the seals show. 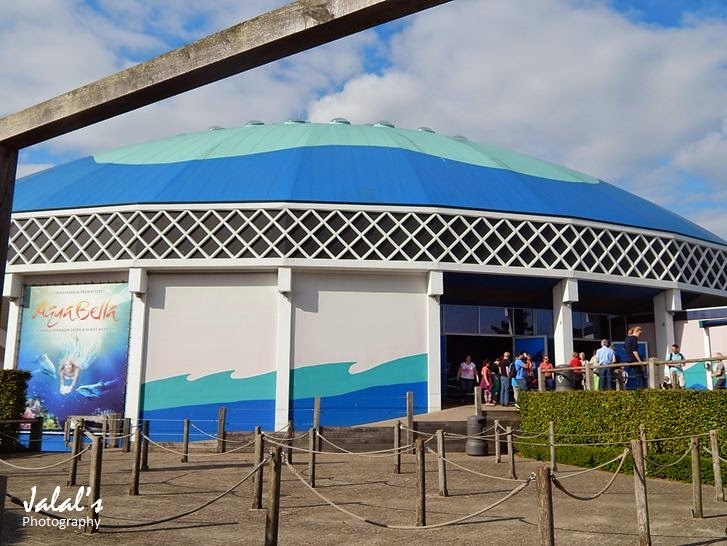 And then it was time to move on to the big dome shaped indoor pool for the Aqua Bella - or the Dolphin Show. 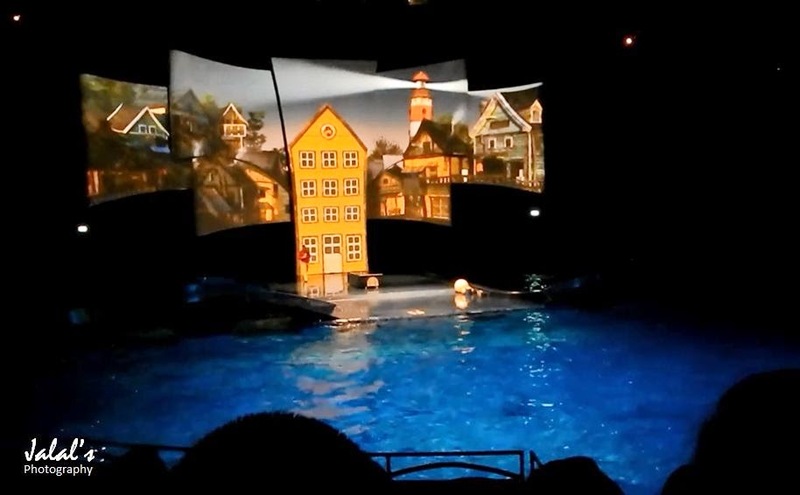 The show began with an awesome slide show and clips about Netherlands with dramatic sound effect, as can be seen in the photos above and below before the show began.